BetterYou Magnesium Skin Body Butter is a deeply rich, intensively moisturising body butter containing a perfect balance of skin kind ingredients. The formulation contains a nourishing blend of BetterYou MagnesiumOil with shea butter, cocoa butter, coconut oil and vitamin E to create a unique skin experience. BetterYou™ MagnesiumSkin Body Butter is a deeply rich, intensively moisturising body butter containing a perfect balance of skin kind ingredients. The formulation contains a nourishing blend of BetterYou MagnesiumOil with shea butter, cocoa butter, coconut oil and vitamin E to create a unique skin experience. Scientifically proven to improve skin health - A powerful and essential mineral, magnesium is key in helping repair and replenish skin cells as well as improving general elasticity and leaving the skin glowing. BetterYou Magnesium Skin Body Butter is absorbed in to the highly porous epidermis and through to the blood vessels and muscles beneath. Completely bypassing the digestive system where many nutrients are not absorbed. Transdermal magnesium offers a simple and scientifically proven method of magnesium supplementation. Innovative formulation to lock in moisture - The fast-absorbing formula in MagnesiumSkin Body Butter has been designed to lock in moisture whilst leaving your skin feeling supple, soft and beautifully moisturised. Gentle ingredients for sensitive skin – Combined with 100% natural coconut oil, shea butter and vitamin E, to leave your skin looking and performing at its best. -Suitable for use by vegetarians and vegans. -Proudly British made. Never tested on animals. 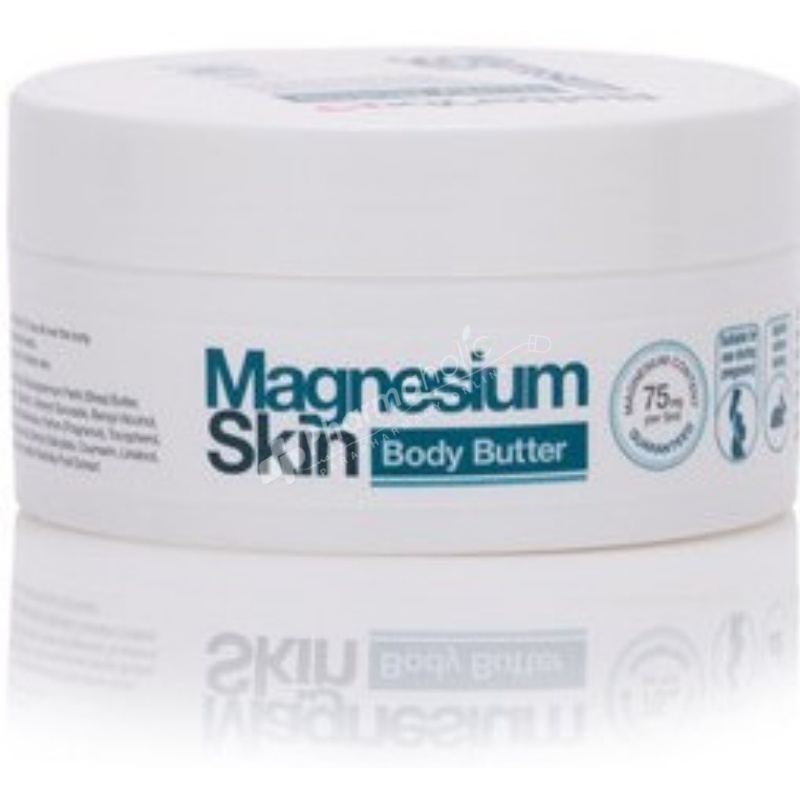 Gently massage Magnesium Body Butter into clean, dry skin. For use all over the body..
For external use only. Avoid contact with eyes. Do not use on damaged or broken skin. The purity of MagnesiumSkin Body Butter makes it suitable for use by all ages and during pregnancy.